ludi incipiant! a call for #archaeogames? In the wake of the #saa2015 #archaeogaming hashtag (as well as #ctp2015, ‘challenge the past’), and indeed Heritage Jam, I’ve been thinking about how awesome it would be to have a collection of papers dealing with archaeogaming (as Andrew defines it). Such things exist (although, as I tap this out, I can’t link to anything in particular) though they are more ‘reception studies’ than what I think we’ve been seeing lately. And then as I sat in traffic, imagining what a ‘call for papers’ might say, the penny dropped. Why call for papers at all? Why not issue a call for games? Why not use the medium we’re interested in itself to write our scholarship? Trevor talks about this in the context of history more broadly. If you haven’t read that post, you should – go on, I’ll wait. Trevor makes a persuasive argument. Brass tacks. How would this play out? Normally, if you had a collected volume in mind, you would contact potential contributors, have them cook up abstracts, then with abstracts in hand you approach a potential publisher… I’ve been part of a couple of experiments with Jack Dougherty that do all of this in the open, via a comment-press platform. I imagine this makes the finding a publisher a bit easier (?) because you can already demonstrate interest and potential readership. What would the flow look like for a collection of archaeogames? Maybe some sort of ‘humble-bundle’ hosted on itch.io maybe? Maybe some sort of wordpress site as a wrapper? Games could be any genre, any platform -board games too, if they can be distributed say as print-outable pdfs or 3d-, as long as they make a scholarly, archaeological, argument where the affordances of the medium are used to best advantage. Interested? Good idea, bad idea? I really like this idea. The academic in me wants papers, but the field archaeologist in me wants practicum. I see this unfolding in two phases: Phase I would be an archaeojam, which could be run through Game Jolt (http://jams.gamejolt.com/) like the recent adventure jam (http://jams.gamejolt.io/adventurejam) was. Archaeology-inflected games would be built over the course of a month and then debuted at an unconference. Think of it as an archaeogaming LAN party. Participants can attend in person and can play (and critique) each others games over three days, non-stop, with bad food and beverages just like when we were in high school/college. After the event, teams would go back and revise, at which point we could vote on the best 3-5 games to put forward to a publisher as a bundle, or we could release them into the wild for free, or sell them at an app store or whatever, using any proceeds to fund the publication of a companion Ebook written by the teams on how the built what they built and why. We could also go the route of partnering with Games for Change (http://www.gamesforchange.org) or similar, pairing gaming archaeologists with game developers to create something more reasoned and polished. Ideally I’d love to see an archaeogaming summit at something like E3 where gaming archaeologists can meet with AAA and indie studios to talk archaeology, in-game looting, lore, and more as we try to build bridges between the discipline and the gaming industry. This is brilliant. Let’s lay this all out somewhere, sketch the logistics out, then release the awesomeness upon the world! YES! Publishing through games is somthing that I have been campaigning for here at York (having done my last two conference papers as games / interactives and just recieved permission to do thesis in game format) and I would be thrilled to work on somthing that was looking to formalise this process on a scale larger than my own pottering around. It simply makes no sense to use a paper-based media form to publish things which are difficult / impossible to express in the paper based form on paper when a system and interaction driven media form exists. Apologies as this is quite ranty in parts but here are some other general thoughts: based on my own experience, getting an industry-publisher for short-term developed games would be pretty far towards the impossible side of the scale, however working through itch.io is a possibility if you wanted to charge per-game or per-bundle, or through Kongregate or GamesJolt for free hosting with ad revenue. Games for change also allows you to charge, but your game has to fit into very specific categories and have press coverage / acclaim to be concidered – definitely do-able but somthing I would tend to think of as a stage II or III rather than an entry point to producing / co-producing #archaeogames. Another thing to think about would be Merrit Kopas’s recent publication – video-games for humans – which was a book published alongside the games it discussed, my personal feeling was that the book dominated the discussion too much leaving the games (as they so often are in archaeological discourse) as afterthoughts or secondary appendices. The general practice however, of distributing games with a edited volume, where you have to play you way through the text and games simultaneously (not interchangeably or not at all), is somthing that may hold great value – and also be a great proof of concept for how these media forms might work together. Perhaps this also could be a stage II or III to developing the #archaeogaming brand. 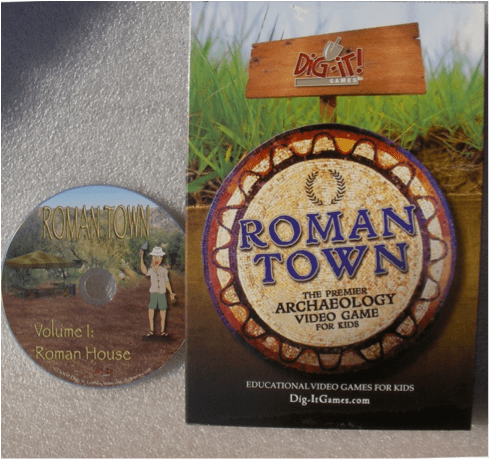 To be a bit of a downer for a second: One of my key concerns about trying to “sell” or “publish” games which archaeologists make as stand-alone products is that the indie market is saturated with really high quality games being hosted for free – really polished games that have been worked on full time – and I know that I personally do not have the skills or time to produce things to a quality that would be worth money within the saturated market, nor do I have the following within the indie dev space to generate enough interest to garner significant add revenue from hosting on free sites and I assume that most archaeologists would probably be in a similar position. Trying to enter into the games market, or generate interest in the topic of #archaeogaming based on the quality or topic of games alone potentially seems a tad silly as we simply (probably) don’t have the skills or experience to develop to the same standard, within limited time frames as those who do this as their actual job – I know that my own creations have been utterly torn to shreds outside of the archaeology circle when presented without the context for their development or publication. IN SAYING THIS – once I had sat down and explained the processes or rationale behind the game I recieved really valuable critique and discussion (not to mention made hugely valuable contacts) which have been super handy in developing my own production practices and re-defining how archaeology and games might interact. But having been a bit of a downer I think there are a TON of really interesting ways “publication” (see above) could be pursued to generate different types of engagement with industry and consumer that extend far beyond “just selling the games” – one of the things that came REALLY strongly out of my MSc research was how players were interested in the process behind decisions in creating games – the WHY and HOW of the developers, what was left out, why were things included, why that mechanic rather than this one – and more than this they were interested in discussing or contributing their own thoughts on this process (which can be hugely valuable for ongoing development – see Mike Bithell’s VOLUME for excellent examples of how discussions during development have garnered interest / shaped the game)… Which is to say that playing the game is one, admittedly very important, aspect to engagement, but players also are becoming aware that there are decisions and processes which go into making games and rendering certain arguments or aethetics and they find that interesting (understanding why and how developers are doing somthing as well as comparing that to their own expectations or understandings). Developers are an integral part of selecting how and why elements of the past are displayed – putting them into a role which Chapman refers to as “Developer Historians”. Players overall are incredibly interested in these processes (as well as the general *how to make look pretty* processes). I think that we stand in the unique position to be “Developer Archaeologist Archaeologists” (rather than just developers who include archaeology) – discussing the recursion and interaction between archaeology and development within the game creation sphere but to do this we need to engage other developers, other consumers and other archaeologists into this practice. The indie scene has started buying into this practice quite significantly – with many development practices being constructed as open entities (watch rise of the indies for more on this) as a way to develop the developer community (thereby raising the overall standard and exploring new frontiers) / market buy in / interest / communication with audience etc. To this end perhaps the most powerful thing would be to demonstrate our development practices – as “Developer Archaeologist Archaeologists” – through open forums so players, consumers and other developers (as well as ourselves) could reflect on how and why we are trying to develop things the way we are – to discuss the things we are trying to achieve – to get feedback – to try generate interest in #archaeogaming and in archaeology in general. The games then are not so much the end-goal, but part of a process in and of themselves. Andrew’s idea of hosting a game jam is one which I think has alot of merit – but again, the general use of game jams within the industry has a somewhat different function to what I think is being proposed here. Normally the goal is not to create a game alone (obviously creating somthing is neccesary) but to provide a platform for developers to experiement outside of normal production, to create things you otherwise wouldnt (ie under different themes or in different programs etc) to learn about your own development practices / biases, to work with people that you otherwise might not, to work with new tools in different ways, to test things, be abit experimental, and through post-mortems to critically reflect on your own, and others practices of production. For sure, many fantastic games have come out of game-jams and have entered into post-production afterwards (eg: SuperHot) but the point more or less remains that the value of game-jams dosent lay in the end-product itself alone, but in the process, networking and critical reflexivity to your normative development practices. If you look at the successful games born from game jams (those that go into post production and become popular / commercially succesful) they all offer novel mechanics or novel uses of the game form which push what it means to be “a game” – thus creating a game jam to “make games about archaeology” will definitely have some value, but creating a game jam to “explore what archaeology is, could be or means” through mechanics, art and audio might be far more interesting… My PhD research has currently started to look into how these game-industry development practices (such as jams) might translate to archaeology and whether it might be a good middle ground to begin facilitating meaningful dialogue between archaeologists, consumers and game devs on a mutual footing – current engagements have indicated that this _could_ be incredibly valuable provided both parties start on the middle ground or at least are receptive and aware that it might exist. To expand this further, and to return to being a negative-nancy for a second – archaeologists and historians working alongside game-developers was actually somthing which MSc demonstrated to have been ineffectual and often detrimental in the past save for in very specific (my own and one other) instances where the archaeologist also had siginificant prior experience in developing or working within the games industry – to a large extent this seemed to boil down to a mismatch of understanding (often a complete lack of knowledge) and expectations of games and of archaeology – “archaeological expectations of games were ridiculous” from the game devs and “the game devs expectations of history / archaeology were ridiculous” from the archaeologists point of view. Game jams to me seem to offer a space for experimentation, but it would still have to be from the position of wanting to find the middle ground and explore together… in other words, all parties would have to be willing to compromise, alter and discuss the role and use of both games AND archaeology alongside each other. The most valuable thing that I gained from interviewing and engaging with game developers and through attending game jams is contacts and networks. With each contact you gain new insights into how games are created and how archaeology might fit into that – to develop #archaeogaming on any scale, or with any real legitimacy or impact, networks and contacts ALREADY within the game development scene (both AAA and indie) will be important. I too would love to see archaeology and archaeogaming included at a summit such as E3 – but as it stands we have very limited idea on how narrative, mechanic or aesthetic might work within game spaces – save for ALOT of finger pointing, soap boxing about why we think games produced by external devs tend to have “wrong” or “bad” archaeology in it alongside an emerging number of reception studies focussing around informational retention of audiences / games as pedagogy for the past. If we want to critically discuss and change how archaeology is presented and discussed in games we need to be able to communicate, produce and engage with developers in a sensical way and we need to actually explore how narrative, mechanic and aesthetic of archaeology will work in this space on its own grounds rather than simply applying our existing practices over the top and hoping for the best. To this end – running our own game jam, for our own community, and trying to include developers on top of that would be a signifiant and hugely valuable thing… But equally important I think is for us to start developing and producing outside of our own sphere – ie participate in game development run jams, attend forums and start trying to work towards interoperable understandings for co-production. Negative nancying over, and appologies for being hyper critical (still a bit dissolusioned after looking at current practices of game – heritage interaction / production for masters). Anycase – these are all really great ideas that have been put forward, and more than that they are hugely important steps if we are to explore and leveage games in archaeology. I would be SUPER keen to get behind all and any of these initiatives as they stand. Any of them alone I think would be a wild step forward for #archaeogaming, but if we want these developments to be effectual / impactful to “games” as a whole and the development of “archaeogaming” outside of archaeology alone I think we need to enact our practices with reference and relevance to the existing AAA and indie development scenes and take into account the structure of the existing games industry, to work alongside it and effect change in tandem. I was struck by where you said, ‘The general practice however, of distributing games with a edited volume, where you have to play you way through the text and games simultaneously (not interchangeably or not at all), is somthing that may hold great value’. This reminds me of the ‘feelies’ of the 1980s Infocom adventures. They were partly as you know a way of combatting piracy, but I’ve always felt that that tactile element added so much to the whole experience (I’m sure there’s probably literature out there on ‘feelies’, but anyway). Combining the game with the paradata as a kind of ‘feelie’ … I like that! In terms of publishing, maybe I used the wrong word. I wasn’t thinking about existing game publishers, more like archaeological or digital humanities presses with a bit of an experimental side to them. I was kinda imagining something akin to the process described here http://writinghistory.trincoll.edu/evolution/call-may2011/ (click the table of contents and scroll to the bottom to see the full process). Anyway, I need to digest everything and then craft a fuller response- Your work experimenting with the possibilities of different forms is inspiring! Always good to see what Shawn Graham and colleagues are cookin’ up. My co-editors and I were delighted that Shawn contributed a total of three essays to two recent open-peer-reviewed volumes: Writing History in the Digital Age (http://WritingHistory.trincoll.edu) and Web Writing (http://WebWriting.trincoll.edu). We described our editorial process in detail (most recently at http://webwriting2013.trincoll.edu) so that others may choose and borrow whatever fits their plans. If your goal is to produce a scholarly publication, then start looking for a journal or book publisher whose vision and logistics matches yours. For both books, we worked hard to secure an advance contract with an open-access scholarly publisher before launching a formal call to contributors. I’ve had good experiences working with editorial director Aaron McCollough at U of Michigan Press (see their open-access series digitalculture.org), and Mark Edington at the start-up Amherst College Press (https://acpress.amherst.edu/). But in every case, piecing together the online platform has been my job, since the publishers had nothing in hand that matched our vision and needs. For the two books above, we relied on WordPress tools such as CommentPress (for open peer review) and PressBooks (for final publication in multiple formats). The Hypothes.is web annotation tool has a new scholarly communications director, Margy Avery (https://hypothes.is/team/), which may open up new possibilities for scholarly commenting on manuscripts-in-progress. Finally, if your goal is to publish a book in many formats (web/pdf/ebooks), distribute code (and perhaps working demos), and do all of this with several collaborators, I’d take a good look at the GitBook platform (https://www.gitbook.com/), which integrates nicely with GitHub repositories. Hope that helps. What a fantastic idea! I can’t wait to see where this goes. As co-editor with Jack of one of the aforementioned open-peer-review volumes, I want to put a fly in your ear about thinking early on – and often – about what the role of the editor(s) will need to include given the intentions, values, and shape of the project/product you’re looking to create. For various reasons I would recommend having 2 editors in charge. The sweet thing about being on the cutting edge and working collaboratively is that almost anything is possible. But for things to move forward despite inevitable (and very productive!) bumps, conflicts, and changes of direction, I personally think it’s important that the editors do some heavy lifting in terms of organizing processes and then either facilitating decision-making or just plain deciding about some stuff in order for the sandbox to stay fun and productive. I realize this might be stating the obvious and I know you’re not at the logistics stage yet, but if you think ahead through editorial processes and eventualities you can build strategies, timelines, and policies into the earliest stages which make things transparent and a heck of a lot easier and enjoyable later on. For example, Archaeogaming’s ideas about possible workflows and processes each bring up different types of questions for editorial policy to handle (who’s the “we” in “we vote on the best 3-5 games to put forward to a publisher”; if submissions have been made public in any way (i.e. on a project site), what happens to the public presentation of the games not put forward? Do they stay on the site as runners-up? What if someone submits a game then decides at some later date (whether before or after it appears online) to withdraw it from your project/site – does it still exist as part of your project (at least as part of its history, in an earlier version) or do you (have to) wipe all evidence of it from your site? You probably see what I mean. Other editorial decisions different from regular academic editing might include those about ownership and copyright, about versioning, about review processes (if any)… In my experience with Jack, I found that discussions among the two of us about these kinds of things both at the start and on an ongoing basis helped to define the limits of what we sought to do (and why) and I think that in turn might have helped other participants in our collaborative process of defining the work and all of our contributions to it.